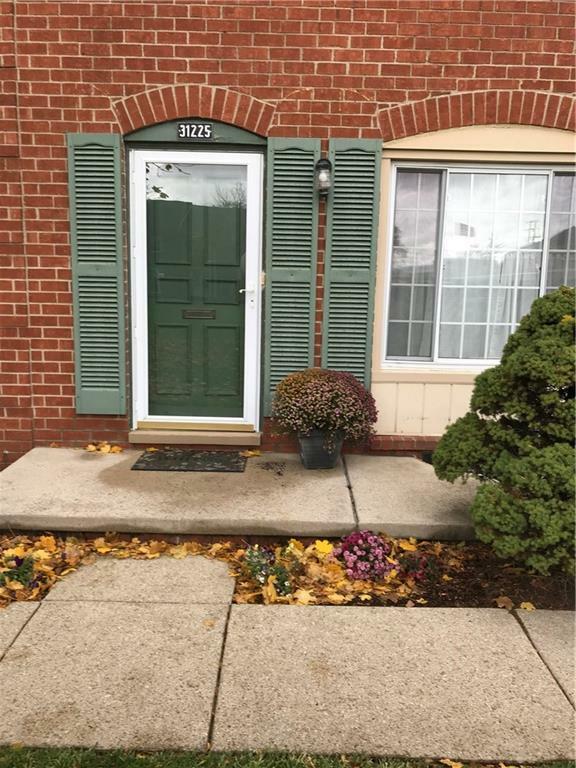 This 2 bedroom 1 1/2 bath condo with a full basement is ready for you to move right in. Conveniently located in the heart of Warren close to shopping, restaurants and entertainment. Whole condo has been freshly painted and has brand new carpeting. Large living room with natural light. Kitchen is open to spacious dining area with a big picture window. Three closets in the entry hallway for coats & other storage needs. Half bath on the entry level as well. Upstairs there are 2 generous sized bedrooms, both with plenty of closet space. Full bath upstairs features a ceramic bath/shower. Linen closet in upstairs hall offers more storage space. Full basement with tall ceilings and vented glass block windows ready to finish. Off of the living room is a private patio with space for a garden. Association dues include gas, water, lawn maintenance, snow removal & garbage. Pets allowed; 1 dog 30lbs or less and/or 1 cat. Immediate occupancy lets you move in and enjoy the holidays in your new home! IDX provided courtesy of Realcomp II Ltd., via The Fox Group, Llc and Realcomp, ©2019 Realcomp II Ltd. Shareholders.